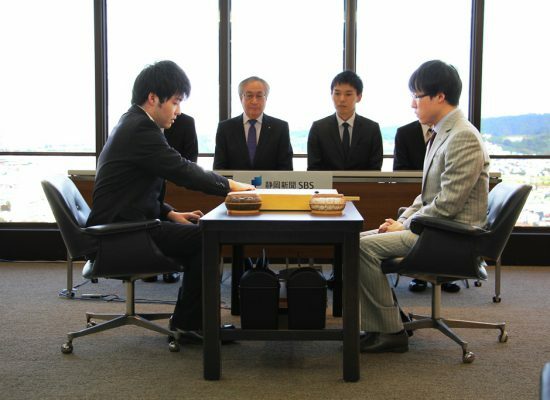 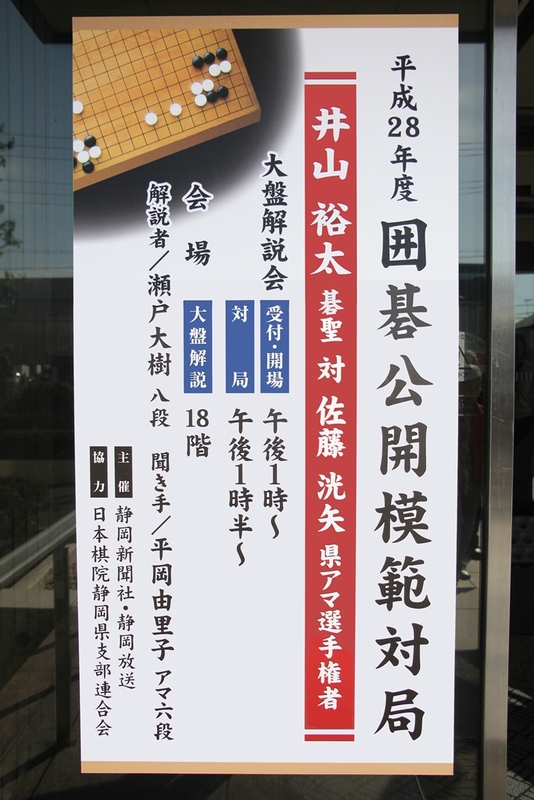 In 13th November 2016, There is a game between Sato koya Shizuoka Amateur Champion and Iyama Yuta 9 dan Professional player with 6 titles. 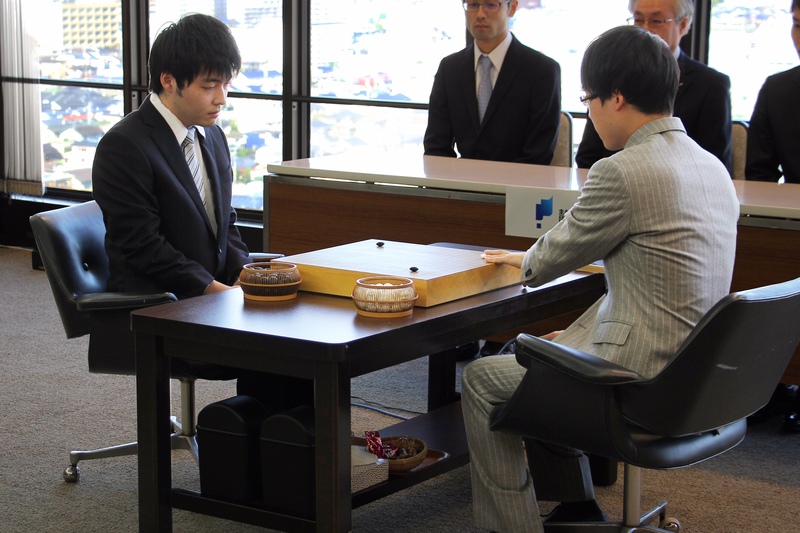 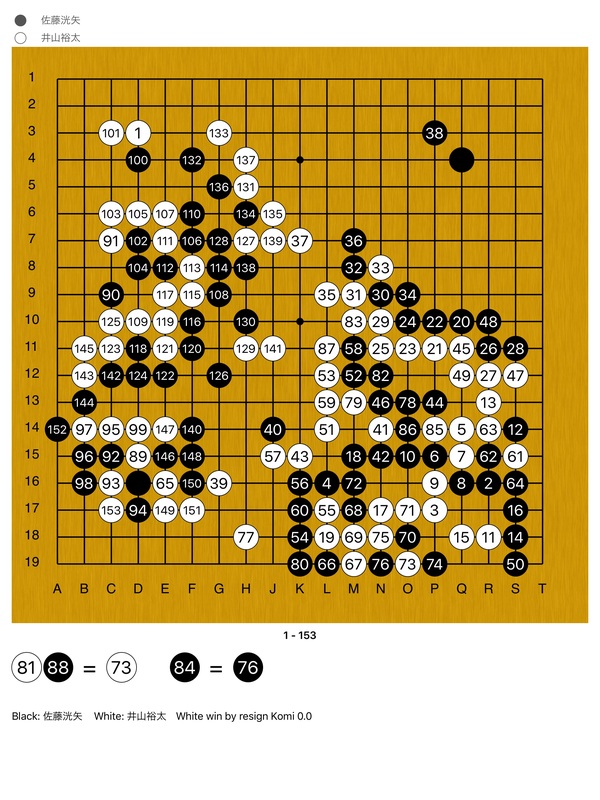 In this game, Iyama yuta has won by resigned in move 153. 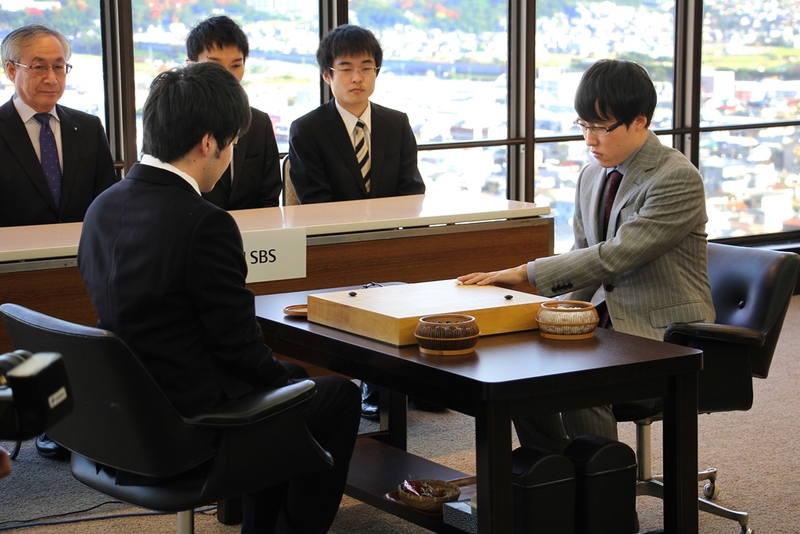 The game started with 2 stones handicap, 50 minutes for each player and 30 seconds byoyomi. 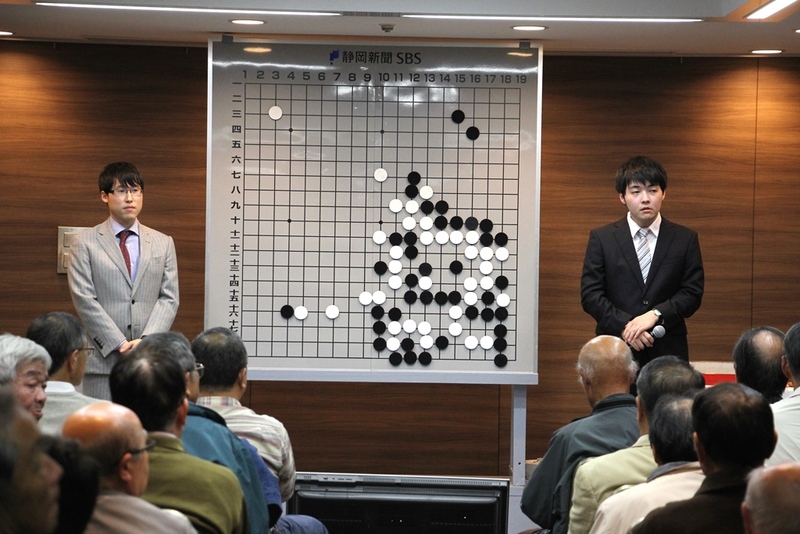 Mr. Sato, who got the challenges to Iyama Yuta for the 4th times, had started with aggressive and showed a good start. 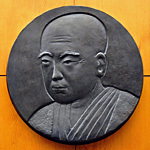 After Mr.Sato’s mistake, Iyama yuta had counter attack back and brought it to the advantageous development. 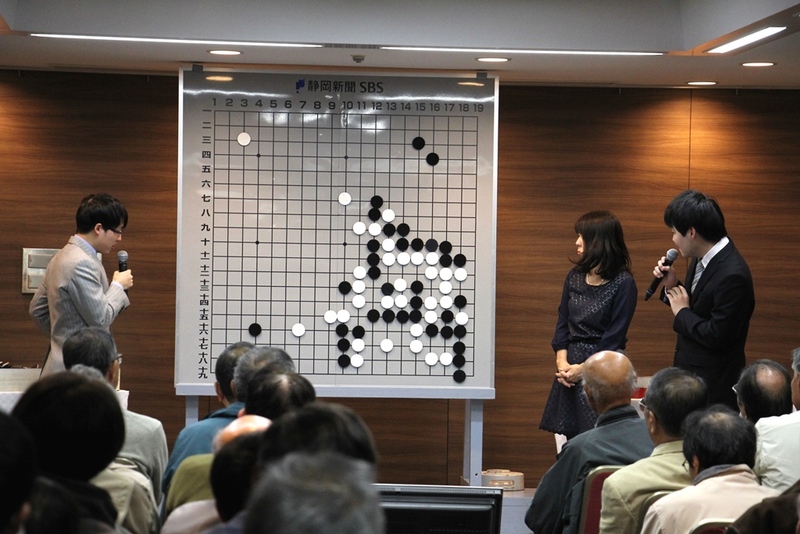 The commentation was also conducted by Seto Taiki pro 8 dan and Hiraoka Yuriko Amateur 6 dan.